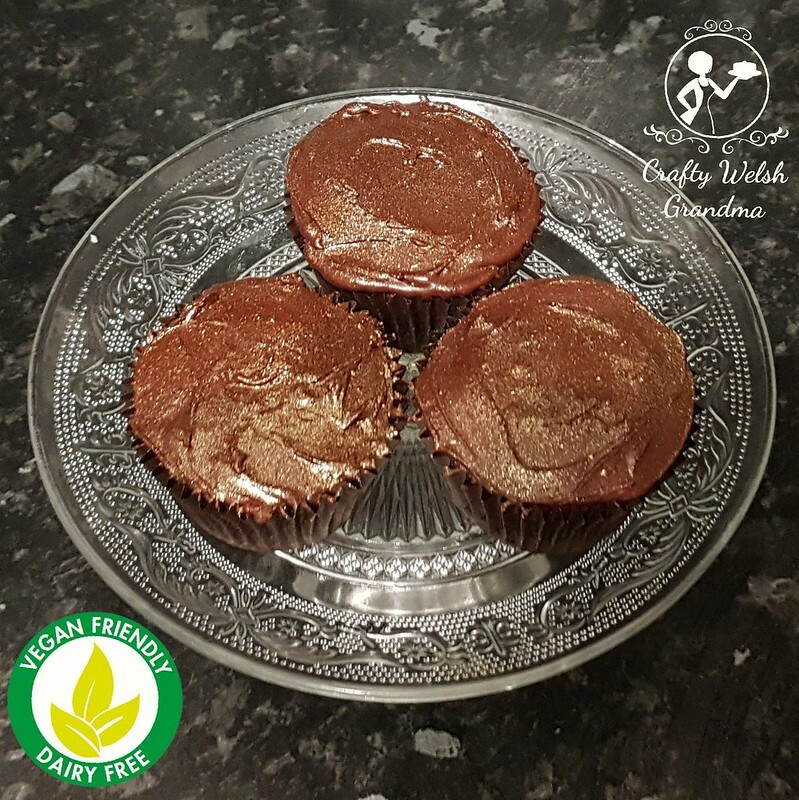 This, small but mighty, batch of cupcakes is dairy free. Only six were needed for my friend's daughter for her birthday. I only used half of the recipe here for this project. I substituted the butter / margarine for sunflower margarine from the 'free from' range at my local supermarket. I also used an egg substitute, which you can find in your local health shop. As you can see, they look a little different. This is because they also had to be frosting / buttercream free. I could have substituted the butter / margarine for the same sunflower margarine, but the recipient does not like any buttercream. Having said that, they still wanted a topping. For this, I used standard icing sugar (not the Royal Icing sugar, because this has egg white in it). 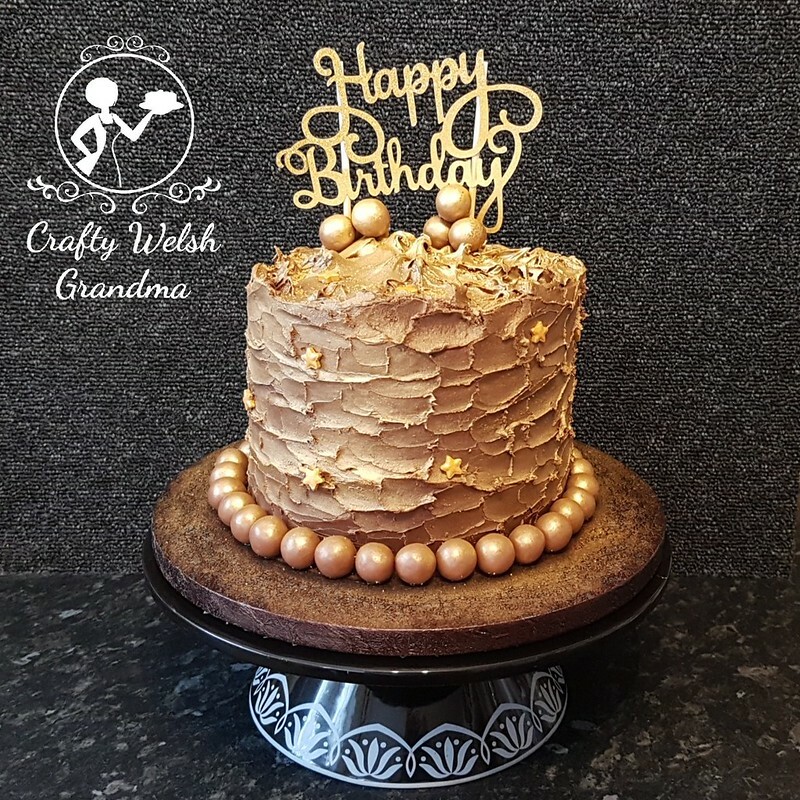 I have no recipe to follow for this topping, I just added the same cocoa powder, I used for the cakes, to the icing sugar and mixed it together with a warm water - a little at a time. If the cupcakes hadn't risen so well, I could have made it runnier, but the cupcakes rose to the occasion, meaning I had to make it spreadable and ensured it was thick enough not to run. The cocoa powder and icing sugar makes a pale brown mix, nothing like what you see above. To make sure it was the right colour, I added some chocolate food colour gel - again, dairy free. Topped off with a little gold lustre dust, which is generally considered suitable for vegans, and the job was complete. I think they look quite yummy too!